Facebook leads in volume, but other portals have stronger demos. The latter is a news portal for close to a third of all American adults, according to latest study from the Pew Research Center’s Journalism Project. 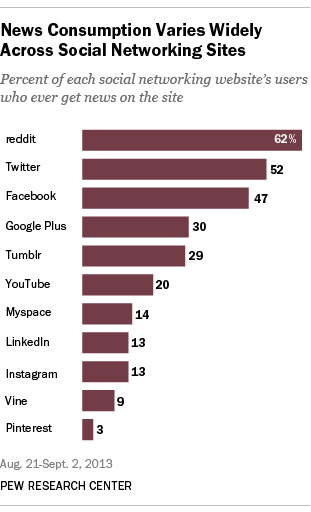 Used for news by 10 percent of Americans, YouTube is actually a more-viewed source than Twitter (8 percent). That’s good news for publishers with a lot of “likes,” but it doesn’t mean the other channels can be ignored—content probably isn’t going to reach people on multiple channels. 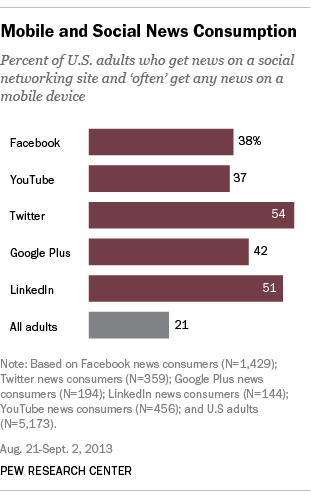 Two out of three of U.S. adults get news from one, and only one, social network. Younger, richer, lefty: Most of the platforms in the study skew younger with mid- to high-level income users who are predominantly left-leaning politically, but distinctions did emerge. 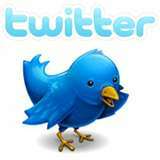 Notably, Facebook’s user base is 58-percent female, while YouTube (57 percent) and LinkedIn (67 percent) cater to male audiences; Twitter is 50-50. LinkedIn also stood out in age—half of its users fall in the 30-49 year-old demographic; just 18 percent are under age 30—and income—63 percent of LinkedIn users earn at least $75,000. 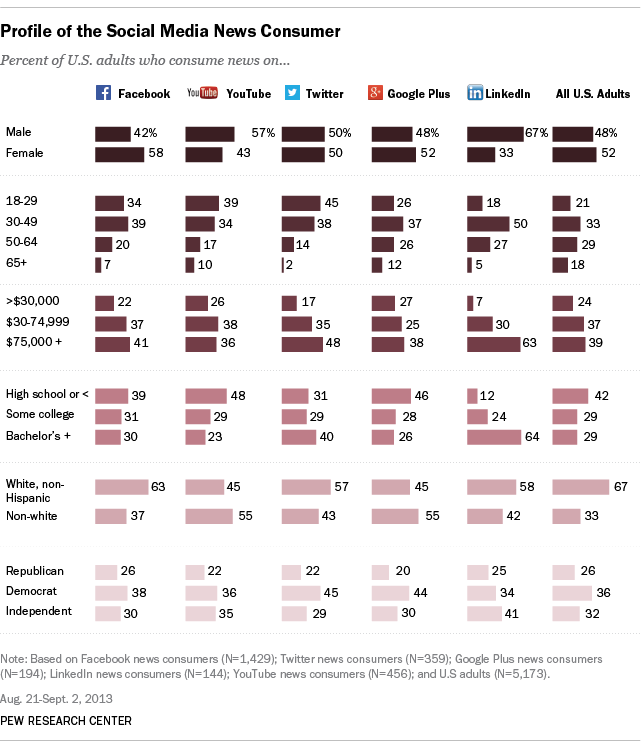 Where else do they look: Twitter users are the most insular when it comes to consuming news content, according to Pew. Out of all social network users, they’re the least likely to turn to print, TV or radio. Twitterers will look down at their phones when they want news though—54 percent “often” consume their news content via mobile devices. LinkedIn was the second-most mobile news source (51 percent), with Facebook (38 percent) and YouTube (37 percent) failing to crack 40 percent. reddit…America’s No.1 source for news: By one measure, reddit was the most popular news site of all—more than 60 percent of its users get news on the site, Pew says. Despite the high percentage of news consumers, its small base—Pew puts the figure at about 9 million users; for comparison, they say Facebook has 202 million and Twitter has 50 million—means that just 2 percent of the U.S. population gets its news there. 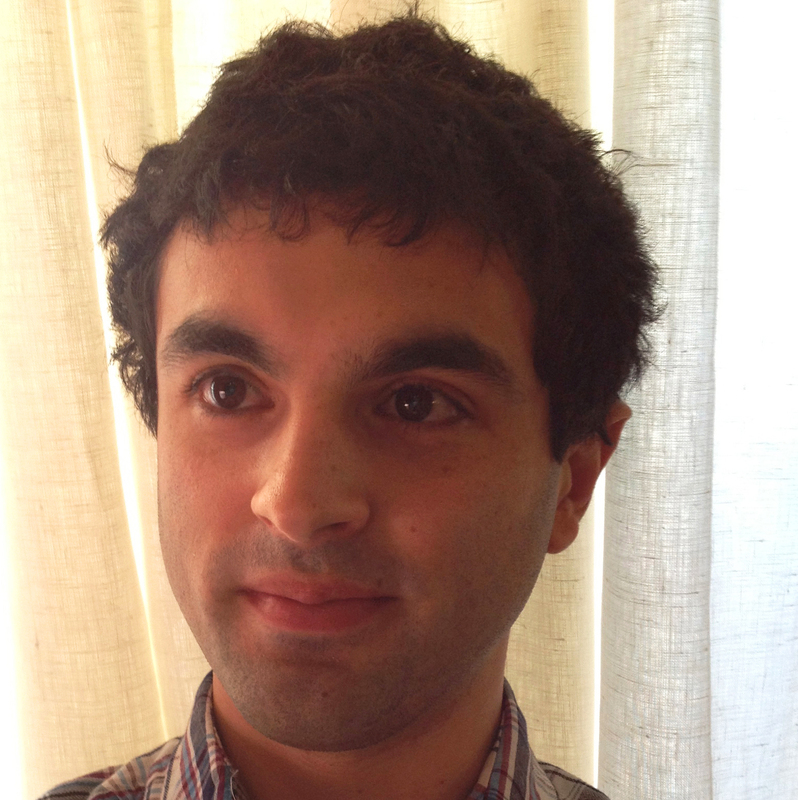 BY MICHAEL RONDON — Michael Rondon is associate editor of Folio: magazine. This entry was posted in Publishing on November 15, 2013 by First Edition Design Publishing.